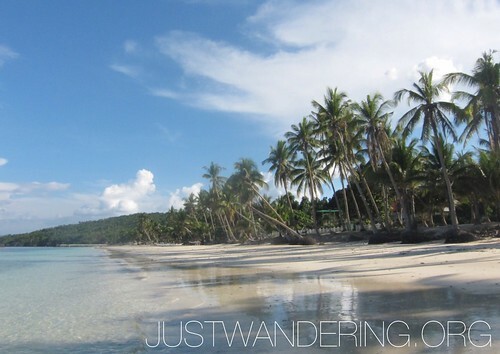 Much have been said about Carabao Island in Romblon, and it’s really as beautiful as people say. Just 45 minutes by banca from Boracay, it’s a refreshing change from the crowds and endless touts. Boats from Boracay can cost you about Php 1,500 to 2,000 one-way, but the first offer you’l get from the boatmen would be around Php 4,000. You can do it as a day trip, but it’s best to have the complete experience by staying overnight. Lanas is where most of the resorts are, and it’s where most tourists are taken. It faces Puka beach, in Boracay, and here you can still get decent 3G signal on your mobile. The sand is not white, but more of a darker shade of cream. The water, as is in all the beaches in Romblon are clean and is a beautiful turquoise. If you’re up for a more rustic experience, ask your boatman to drop you off at San Jose, near Port Said. Accommodation here are available, but limited. 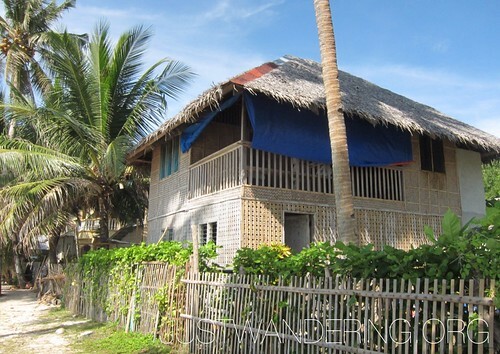 There are concrete houses that offer rooms, but we were happy with the nipa cottage we found entirely by chance, that stands right by the sea. It was bare on the ground floor, but the second floor had two bedrooms, a small kitchen, a very basic toilet, and a veranda that looks out to the sea. We paid Php 200 per person per night, not a bad deal. Electricity in San Jose is only from between 4am to 6am, and from sometime in the afternoon until 11pm. Like in most provinces in the Philippines, nobody’s outside come 7pm. The street that leads from the poblacion to our cottage is lit only by the lights coming from the houses, and from the moon and the passing motorbikes. 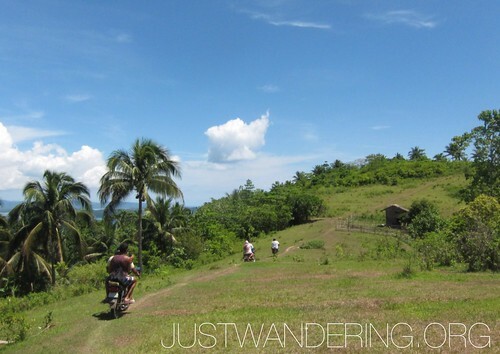 The most taxing activity you can do is to hire a habal-habal and take a motorbike ride around the island. The roads are small, and sometimes you are driving through a narrow path just wide enough for a cow. 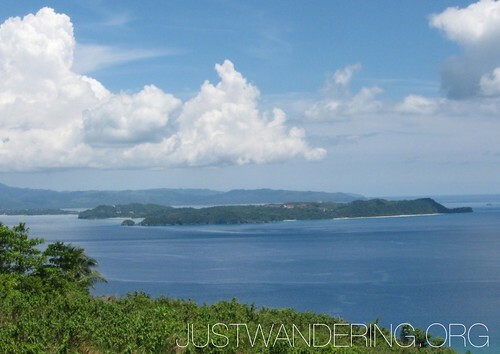 A favorite spot to go is what they call Tagaytay, named after the city with a view of the Taal Volcano. In their Tagaytay, you get a view of Boracay Island. Back in San Jose, you can laze about at the beach, napping under the shade of the coconut trees. During high tide, the water reaches up to the tree trunks, but when it’s low tide, you are left with a wide expanse of fine white sand. Your dining choices are very limited in San Jose. All our meals were had at Rae Snackhauz right outside the market. Emily serves meals throughout the day, only closing when she ran out of food. We were lucky we caught her just as she was closing shop, and she offered to cook what’s available from the market. It was just our luck that a freshly slaughtered pig just came in and we had choice cuts of pork belly grilled over charcoal along with eggplants. It’s very simple, but that is exactly how we want it. 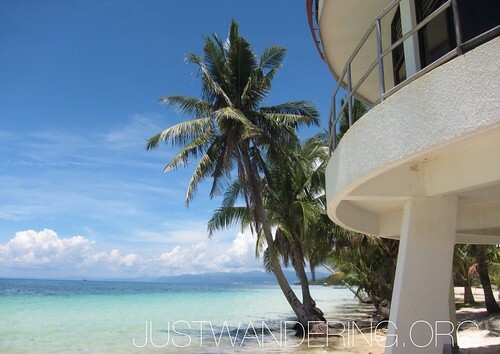 Jo and I were just talking about how much we missed the Philippines… sandy white beaches and clear turquoise waters…. sigh…. Wow! nice island…I like the beach and its ambiance. I hope I can go here next summer vacation.